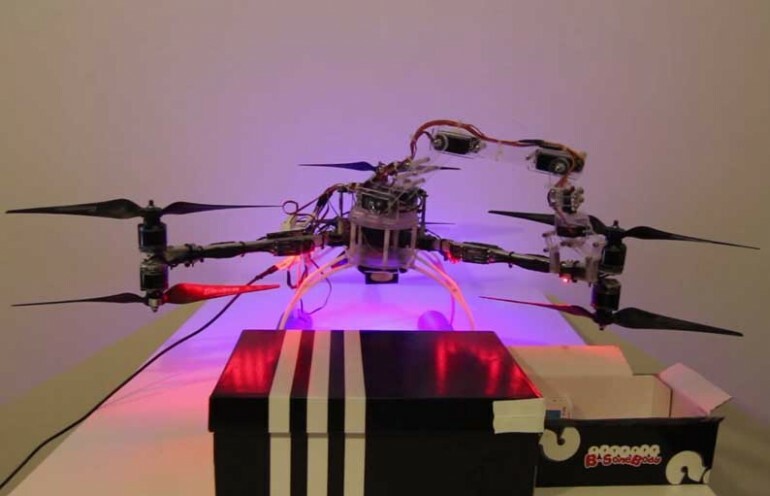 Arachnobeea, a ‘quadcopter drone’ resembling a spider and a bee, was selected by a NASA judging committee, among over 950 other projects from 135 locations worldwide, as one of the six global winners. The device is designed to ‘fetch’ items for astronauts. In statements to CNA, team leader of the Cypriot team, Aleksandar Bozic said that NASA informed the Cypriot team that it had won, and added that they were very proud to be among the top six in the world, and first in their category. The team, which will be invited by NASA to watch the launch of a resupply ship to the International Space Station in September, comprises people from Cyprus, the Ukraine, Serbia and Armenia. Creators of Arachnobeea are Mihailo Kitanovic, Christos Antoniou, Charalambos Leventis, Adrian Carlan, Aleksandar Bozic, Iurii Fomenco, Visnja Durovic, Dragan Colovic, Ljubodrag Bozic and Nikola Gacic. In his statements to CNA, Bozic did not rule out the possibility that NASA might use some parts of the Cypriot project for the International Space Station. The Cypriot team designed the most innovative quadcopter drone destined for usage in space vehicles, and they managed to excite everyone with their presentation at the local competition in Limassol in early April.